The Primitive arrangements can be sat on, leaned against, held in your arms. The space is used to hold a series of conversations during the Biennale organized by arts organization TBA-21. It is more of a cave than an auditorium. The informality implicit in an ordering system is more important than expressing its strict composure. 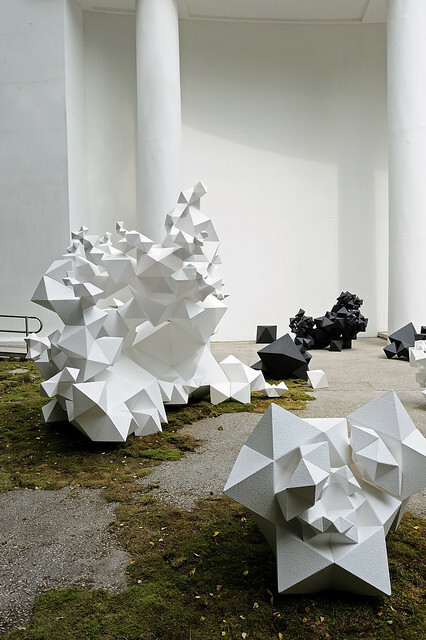 Multiple pursuits come together here—the quasicrystal, the fractal, the single building element, the landscape object—to make something atomized, frayed and open.